Pinguy OS - Probably the Best Ubuntu Derivative I have Ever Used! Pinguy OS - not many must have heard about it. 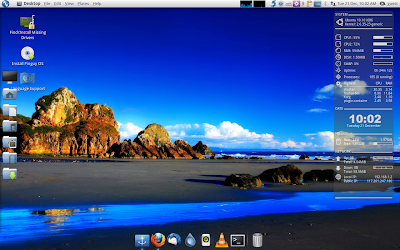 Pinguy OS is basically a heavily modified Ubuntu with an emphasis on the out-of-the-box functionality of the OS and more importantly on the look-good factor. And I got to tell you folks, on every count, my experience with Pinguy OS was well above average. Pinguy OS is basically a remastered Ubuntu which just works out of the box without a hitch and also, it looks and feels so damn pretty. Here, I will try my best to point out things that I loved about Pinguy OS and also some other things that bothered me. As I said before, experience I had with Pinguy OS was delightful. And the interesting part is, I didn't even install Pinguy OS in my laptop. Instead, I tried out the live DVD version of Pinguy OS from my USB drive. Actually, I am writing this blog post right from live Pinguy OS. One of the first things you notice while using Pinguy OS is the overall robustness and responsiveness of the OS. Normally, when you try to open say, Nautilus file browser for example, there will be a slight delay. But somehow, that delay is completely absent in Pinguy OS. I figured out that, Pinguy OS comes with Preload installed. But even with Preload, my Ubuntu machine didn't felt as robust. And I was not even using the properly installed version of Pinguy OS! Default Pinguy OS looks beautiful too. It comes preinstalled with useful Conky menu, Docky, Nautilus Elementary, Gloobus Preview and also has Elementary as the default GTK theme. Many of the above features are among the first things every savvy Ubuntu user would do after installing Ubuntu. 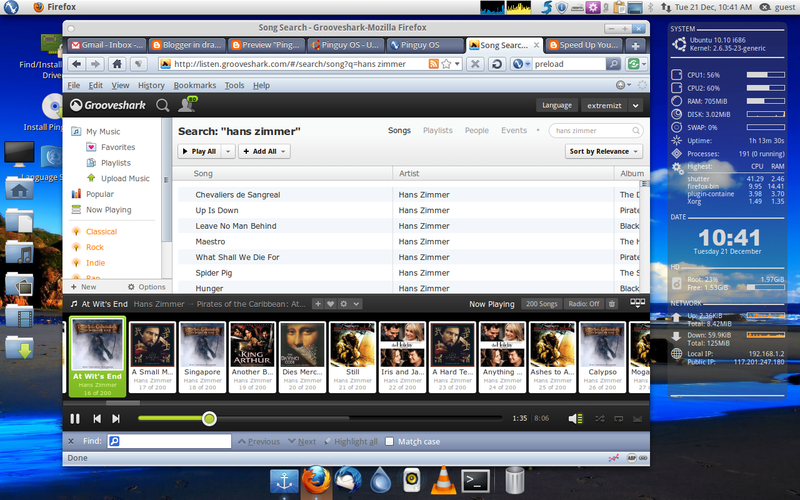 For reference, you should check out this collection of things I did after installing Ubuntu Maverick. After installing Pinguy OS, I had to do nothing, except for removing unnecessary applications, about which we will discuss in more detail below. Pinguy OS does the branding part also quite nicely. I liked the Pinguy OS logo and the way it is displayed in the boot screen. Nothing really, except the sheer amount of applications that comes default with Pinguy OS. I consider myself as a pretty heavy user of applications and even I find this list of applications completely overblown. Some of the applications that comes installed with Pinguy OS and that I most probably won't use include DeVeDe, GNOME MPlayer(prefer SMPlayer), pms-linux, Torrent Episode Downloader, gpicview, Pinta, Ailurus, mvPod to name a few. Both 32 bit and 64 bit version of Pinguy OS is available for download. Visit Pinguy OS download page for more information. Pinguy OS is undoubtedly the best Ubuntu derivative I have used and I won't mind rating it even above Linux Mint. I would prefer a much lighter version of Pinguy OS though. So, next time when a wannabe Linux user comes to me asking for a good Linux desktop that just works, Pinguy OS will be my first choice.